I submitted this short article to X and O Labs to include in their option survey. 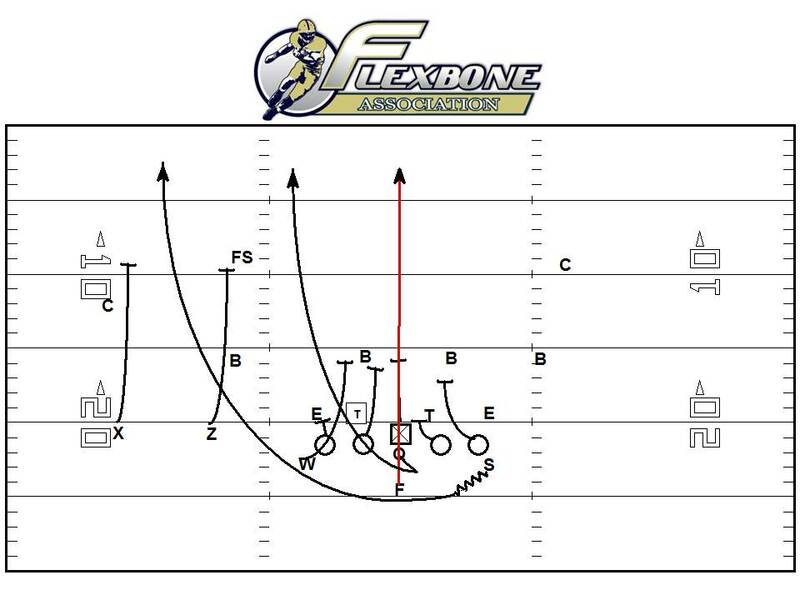 Mike Kuchar asked me to submit a formation package and the advantage it gives us on either midline or triple. Last week I wrote about some very basic purposes of utilizing different formations. 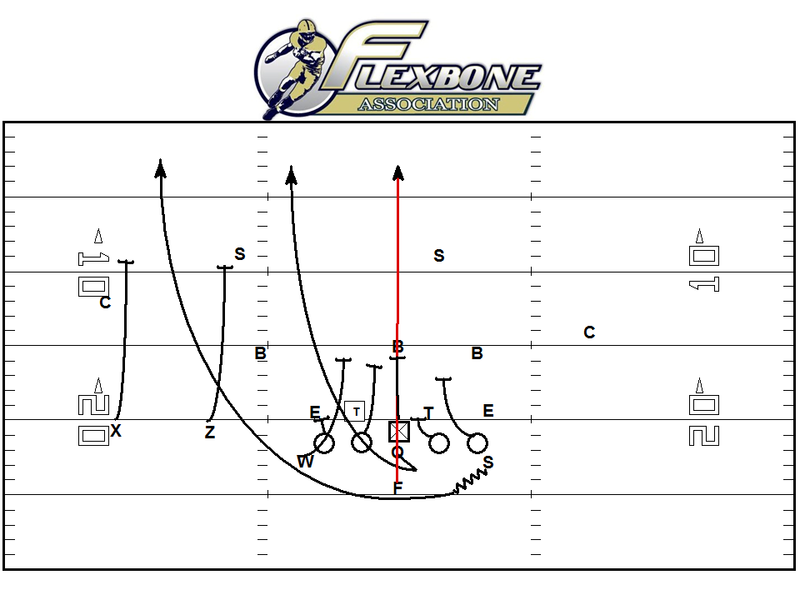 Changing formations can give you an advantage regardless of what play you are trying to run. Throughout the course of this year and in previous years whether they be for personnel or schematic reasons we’ve used different formations to give our team an edge. Employing the Over formation can give you several advantages to run midline. The first can be against even fronts, either 4-4 or 4-3 teams. Any defense that lines up in an even front has distinct alignments they can use on their defensive interior, particularly against Flexbone teams. They can give you 2I-2I, a 3-1, a 2-2, a 2I-3, or any other combination of similar alignments. Depending on how your opponent aligns on defense, if they line up in a pair of 2’s it can be an effective scheme against your offense if the talent of their 2-techs is significantly greater than the talent of your guards. One of our first adjustments we use is to line up in Over. If they don’t adjust to Over you have an extra blocker to that side. If they do adjust to Over you we look to take advantge of what their adjustment is. One common adjustment from defenses is to slide their front to Over. If you align unbalanced, usually teams will slide their front to the Over side, giving you a 3-tech to that side. Here is what it would look like to run Midline to Over. In these diagrams the defense did not match our numbers. They simply bumped the free safety over and slide the front. We want to run Midline to Over in this scenario. There is no real reason to run 10/11 Midline against odd fronts (5-2, 3-3, 3-4) although you can draw it up against those fronts, it doesn’t serve the specific purpose of why the play should be used. 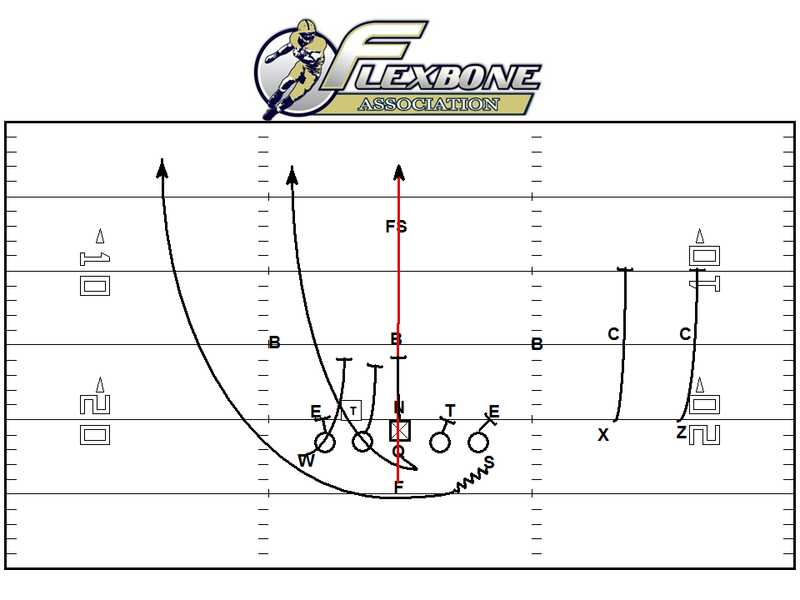 Navy has used a fold scheme on the backside against 50 defenses however, especially Air Force. You can run midline though against a double eagle team. If you are willing to run Midline against a 5-3, you have to determine how they are playing your motion post-snap, particularly the Nose Tackle and Mike-Backer. If the Nose and Mike are playing straight up, the A-Backs have to account for the fold-player (in this case the Outside Linebacker), and you need a blocker over the read on the Mike to prevent a squeeze and scrape thus cancelling your Midline. Using tail motion on Midline requires the fold player to honor him as a pitch player. The Playside A-Back must then insert for the Mike to level three. If the Outside Linebacker folds with the insert player, you have to run Midline Lead (Backside A-Back inserts for the Mike, Playside A-Back blocks the fold player). If the Mike and Nose are over active to the motion, you can use Twirl motion to give them false keys, thus making them react in the wrong direction. If the backside 3 tech becomes an issue use the “white” call on the backside. 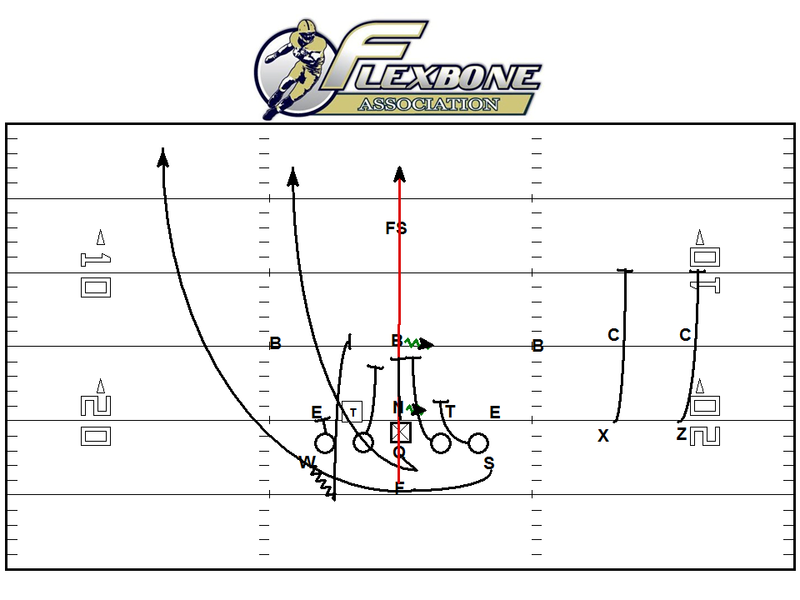 This call alerts both linemen to block base to outside. This ensures the 3-tech is blocked and the 5-tech cannot chase down the Quarterback from the backside.